The Walt Disney Company (WDC) recently released a new set of rainbow Mickey Mouse ears in anticipation of Gay Pride Month in June. 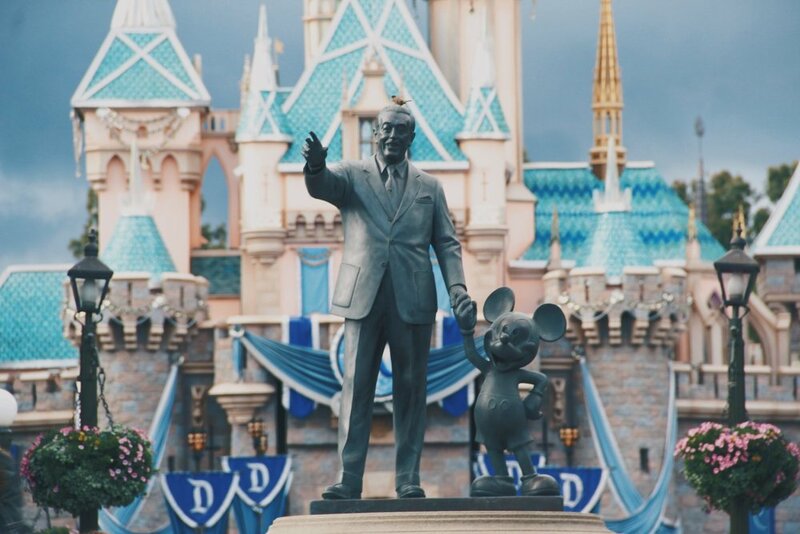 While Disney has received plenty of positive feedback for the new merchandise, the company has been criticized for their lack of LGBTQ inclusion in other areas. Activists argue that Disney is profiting off Pride Month while still lacking LGBTQ representation in their media. Disney has a large, long-standing LGBTQ fan base with many unofficial clubs and events. For decades the community has held “Gay Days” at the Walt Disney World (WDW) and Disneyland theme parks. This year, Gay Days will be held May 29 to June 3 at WDW. Similar to many other Disney clubs or family gatherings, participants of Gay Day events wear matching shirts and enjoy the park together. While the company has dissociated itself with the event in the past, it has slowly embraced its popularity. Although WDC does not sponsor the event, subsidiaries of the company such as the Aulani Disney Resort and Spa and Adventures by Disney do along with others such as Delta and Smirnoff. In 1995 it was one of the first companies to offer health coverage to the live-in partners of gay and lesbian employees. Since 2002, when the Human Rights Campaign first started its Corporate Equality Index, the WDC has repeatedly topped the list as one of the best places to work. In 2013, WDW appointed George Kalogridis as its first openly gay president. In 2016, the WDC donated $1 million cash to the OneOrlando Fund to aid those affected by the shooting at Pulse nightclub— a gay club in Orlando. In 2017, the Disney channel series Star vs. Force of Evil debuted Disney’s first gay kiss. The same year, Disney’s live-action version of Beauty and the Beast portrayed the character, Le Fou, as gay. In 2017, Disney announces a coming out storyline for the character Cyrus Goodman on the Disney channel series Andi Mack. The WDC has not faced harsh criticism for its business practices or philanthropy for the LGBTQ community. However, the company has received polarized criticism for either having any wisp of an openly gay character or not having enough openly gay characters. Disney has such a large audience that it’s impossible to please everyone. This is why it is important that they reflect on their company values and make sure their merchandise and media are sending out a consistent message. Disney may benefit by outwardly supporting the LGBTQ community by making the Gay Day events official -- Considering Disney’s subsidiaries are already event sponsors, they already released Gay Pride merchandise and the event has been a part of the parks for decades. Selling the rainbow Mickey ears can be perceived as disingenuous, perhaps monetarily driven, without outwardly acknowledging their LGBTQ fans. Because the company has consistently received praise for its support, it would be a safe bet to follow through with its messaging and values throughout ALL areas of the company. If Disney starts to push the boundaries with success, other entities could follow in its steps.